Now available in both online and loose-leaf formats, Leading Cases on Labour Arbitration is a pioneering work, designed to help you quickly access and navigate the maze of arbitration awards and court decisions. Leading Cases provides authoritative commentary on over 2,400 arbitration awards, court judgments and tribunal decisions, as well as hundreds of convenient case summaries. Leading Cases presents the most authoritative and comprehensive selection of influential cases, with commentary by distinguished experts in labour law and numerous concise case summaries, setting out the facts, issues and reasons for decision in the most important and representative cases. 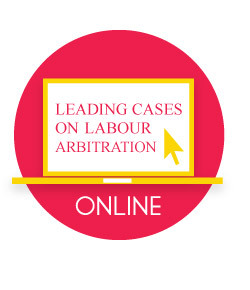 Filling a long-felt need expressed by the labour arbitration community, the authors have selected leading cases from among the thousands of decisions issued over the years by arbitrators and the courts. Leading Cases is available as a one-volume loose-leaf service and/or an online edition, with expert commentary and links to case summaries and to full texts of decisions.